Thank you for visiting Porsche Lehi. We would love to be your first choice for a new or used Porsche in Utah. We are located at 3425 North Digital Drive, Lehi, UT 84043. We are conveninetly located just south of Salt Lake across the Point of the Mountain in Lehi. We proudly serve Herriman, Draper, Provo, Orem, and American Fork. 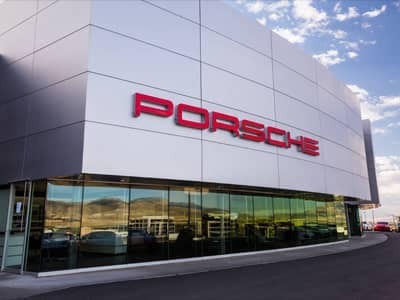 Come see why so many people are choosing Porsche Lehi for their Porsche purchase and service. View our large selection of new Porsche Boxsters, new Porsche Cayman, new Porsche 911, new Porsche Cayenne, the new Porsche Panamera, and the new Porsche Macan. Be sure to browse our extensive inventory of well-priced used Porsche vehicles near Salt Lake City. Charlie was great to work with in the service drive. The work was done way earlier then done. When I got the car back it was all washed and cleaned inside and out and waiting for me in the service drive. Crystina Baum is fantastic! It’s not easy to find a perfect car sales woman. She scheduled an appointment to test drive on her day off without hesitation. She doesn’t pressure you to buy and focuses on what details will make you happy in your new car instead. She drove the paperwork two hours away at a moments notice. She dropped off my new car and drove my old car back to the lot. She was a pleasure all the way. None of my car buying experiences have been this awesome!! I have had audi and mercedes benz and I have not had the experience that I had in the porsche dealer. Christina is by far one of the best sellers with whom I have treated very kind and attentive. If you are looking for a first class attention ask for it, I recommend this dealer. 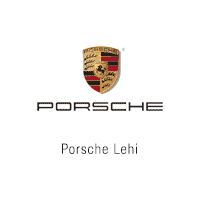 Porsche Lehi has the best service you could ask for. From car buying to maintenance they are always so helpful. We didn’t even end up purchasing our Porsche here after coming in to shop but I get treated like a king every time I’ve been in for service. Thank you! Have had 2 cars from this location. Never have had any issues at Ken Garff. Love both vehicles. Service is quick and painless. Staff is always kind. The sales professionals at Porshe Lehi are world class. They followed through on each and every personal detail with our transaction. We couldn’t be happier with the service and experience.